Cadet Lt. Col. Krista Antonio was awarded a bronze medal from the National Society of the Daughters of the American Revolution for her record of military and scholastic achievement as member of the Desert High School JROTC. 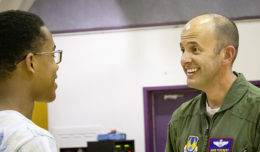 EDWARDS AIR FORCE BASE, Calif. — The National Society of the Daughters of the American Revolution (NSDAR) has presented awards to ROTC members since 1967. Each year, the Antelope Valley chapter works with eight high schools in the area to present JROTC students with a Bronze Medal. The medals are awarded to cadets that have demonstrated loyalty and patriotism and earned a record of military and scholastic achievement during their time in the JROTC program. This year, the Desert High School recipient of the Bronze Medal was Krista Antonio. With the award, each recipient received certificates of recognition from the cities of Lancaster and Palmdale as well as a commendation from the County of Los Angeles signed by County Supervisor Michael Antonovich. The students are selected by their JROTC instructors. To be chosen they must be in the upper 25 percent of their classes in ROTC and in academic subjects. They are also required to have shown qualities of dependability and patriotic understanding of the importance of ROTC training. Krista was selected by her JROTC and Aerospace instructor retired Col. Robert Stambaugh. Krista is going into her senior year at Desert High. She has participated in the National Honor Society, California Scholarship Federation, the Kitty Hawk Air Society and an awareness presentation team to educate others on the harmful effects of choices like substance abuse. She has been on both the basketball and track teams and is active in her church. She has been a member of the JROTC corps since her freshman year and maintains a 4.5 GPA. After graduation, she hopes to pursue a pre-med degree at UCLA. “It was amazing, being recognized at that level of honor. It was incredibly humbling for me as a cadet and inspiring for all the other cadets in my corps,” said Krista. Krista is the youngest of three children and all of them participated in the school’s JROTC program while at DHS. 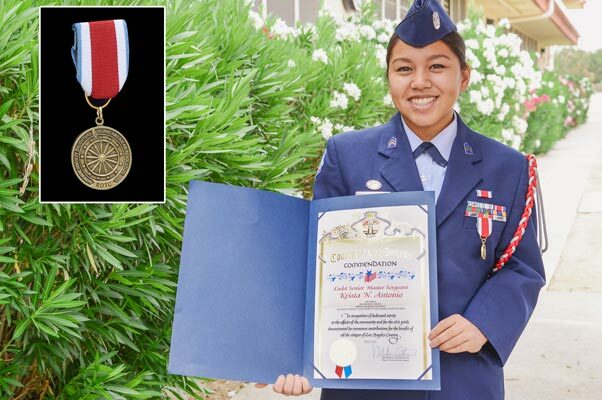 “She got the award and I said, ‘Whoa, this is not just a pin on ribbon…That’s prestigious,'” said her father, A.C. Antonio, an F-35 control engineer. 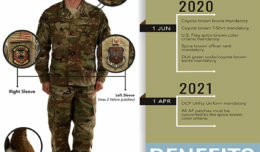 According to Roberts, NSDAR awards ROTC medals to student cadets of outstanding ability and achievement in high school, junior college, college or university ROTC programs of the Army, Navy, Air Force, and Marine Corps. The Bronze Medal is given to either a junior or senior student in a secondary school JROTC program, or to a junior college graduating senior.